An audit has revealed that more than half of the households in Kochi have insufficient water for household use. The audit has also brought to fore how contaminated the ground water in the area under Kochi Municipal Corporation of Kerala is. Protection and conservation of water resources have been highlighted as a remedy. The audit was done by Water Institute of SCMS School of Engineering and Technology, a private engineering college in Ernakulam district. It was done under an agreement with Centre for Heritage, Environment and Development, a wing of the corporation. Kochi is one of the fastest-growing cities in the country and the business capital of Kerala. The city has a population of 600,000, according to the 2011 national population Census. With 74 wards, the corporation is the most densely populated one in the state and faces many challenges in the water sector, ranging from inadequate water distribution network, depleting groundwater quantity and quality to increasing water pollution, population growth and changing land use patterns that result in loss or depletion of water resources. The drought map of Kerala shows most areas of Kochi Municipal Corporation are in moderate drought conditions. During six months, starting from January this year, the city has been experiencing drinking water scarcity. In many localities of the city, people depend on water supplied by the corporation and private parties in tankers. The corporation mainly depends on three sources of water: Kerala Water Authority (KWA), groundwater and tankers. Right now, the demand is majorly from the industrial sector. While the industrial demand stands at 280 million litre a day (mld), the demand from household sector is 168 mld. “Due to over-exploitation, the state of groundwater in the corporation areas has become alarming in the past decade. We have realised how serious the worsening water scenario is and the need to have a clear policy on water, with set priorities,” says corporation mayor Tony Chammany. “For this, the corporation needed to understand the existing status of supply and to identify location and causes of scarcity. This can help to reduce overuse and misuse. So we decided to go for a scientific water auditing,” he adds. The Kochi Municipal Corporation is the first local body in the state that has gone for adetailed water auditing, he adds. Water audit is an important resource management tool to reduce misuse or overuse of water and for the effective conservation of the sources.“It is a systematic review of a particular site to identify opportunities and ways to improve its water use efficiency,” says Sunny George, director, Water Institution. The first step was to prepare a water stress diagram to mark the areas where the demand for water exceeds the availability during a particular period or when poor quality restricts its use. Water stress diagram helps to prioritise the action plan to achieve better water management, says George. from each of them. The survey revealed that out of various drinking water sources, 75 per cent of households in the corporation area depended on the KWA to meet their demand. However, 40 per cent of the households complained about insufficient supply of water by KWA to meet their daily requirements. 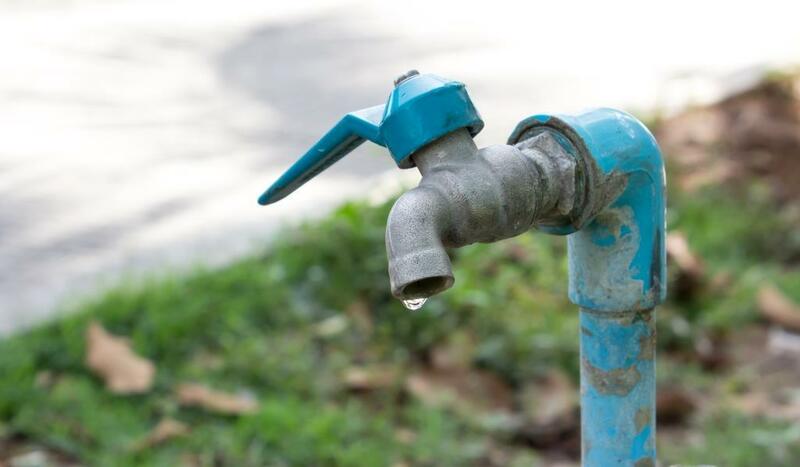 Only about 25 per cent of the households received KWA supply throughout the day and without any hindrance while 36 per cent of the households that depended on ground water reported scarcity. The survey revealed that the quality of ground water in the corporation degraded in recent years. As much as 50 per cent of the households had their drinking water wells at less than seven metres from the septic tanks. “This could be one of the reasons for increased presence of coliform bacteria that was reported in a recent study conducted by the corporation to analyse the quality of water,” explains George. Though 95 per cent households confirmed that they boil water before drinking, only 10 per cent had installed any purification system in their houses. The survey found that wards such as Fort Kochi, Mattanchery, Palluruthy-Kacheripady are susceptive to water-borne diseases. As a part of the survey, ground water samples were collected from bore wells of each ward and analysed for water quality. It was observed that only 46 per cent of the tested samples had iron concentration within the safe limits, 16 per cent had high chloride concentration, 34 per cent had hardness values greater than 300 milligram per litre. It was also observed that 36 per cent of the samples had bacteriological contamination. Another study was conducted by the Water Institute to identify the extent of salinity intrusion in the corporation area. “We found that excessive withdrawal of groundwater without sufficient recharge has caused problems like sea-water intrusion in coastal aquifers,” says Sunny George. The extend of intrusion depends on many factors including pumping rates, recharge rates, aquifer geometry and properties and distance of pumping wells from coastal lines, he points out. “The audit will help to assess the extent of salinity intrusion and its expected levels in coming decades. This will help the local body to formulate necessary policies and take up actions for controlling salinity,” says George. Despite water stress, the audit has also revealed that rainwater harvesting is taking place only in a limited way. Of the households, 65 per cent have concrete roofs. However, only 11 per cent have adopted any kind of rainwater harvesting methods. Survey results revealed that only 24 per cent of households implement any kind of water conservation measures such as recycling and reuse to reduce water usage at home. Based on the audit and other studies, the corporation is in the process of making a detailed water policy, says the mayor.